Your very first home, is the best investment you will ever make. This amazing value First Home Buyer Package, has everything for the young family. 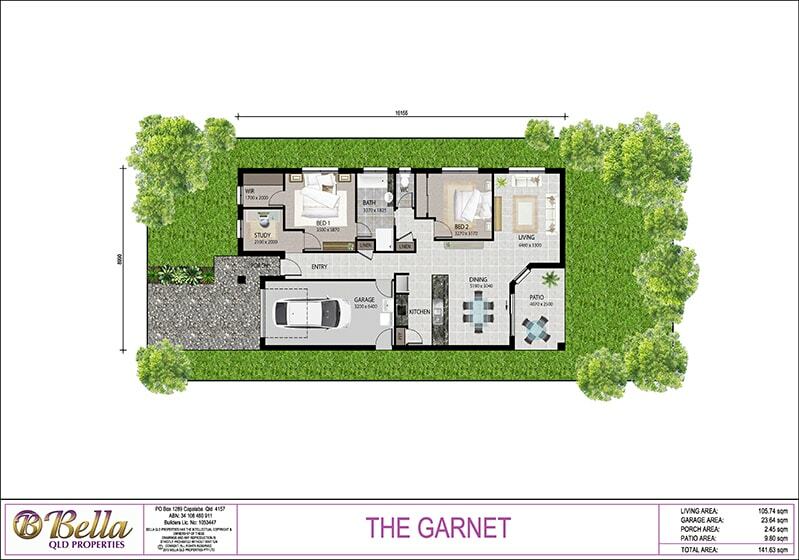 This Turnkey Package of The Garnet by Bella Qld Properties at Brentwood Forest, Bellbird Park is the perfect start for the first home buyer. An ideal design offering 2 bedrooms, study, 2 bathrooms, 1 car garage, spacious open living area and a large outdoor area, which is perfect for that Sunday barbeque.